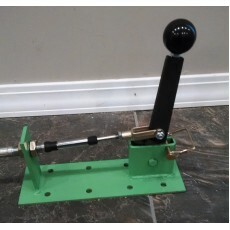 This cable shifter is designed to work with 350/375/400 transmissions. this follows the same simple design as all M.O.P. products. this unit includes a 6.5 foot cable, bracket for trans,spacers, and detent plate. Can be mounted to cage bar from seat to dash. can be used as regular pattern or reverse pattern depending upon your style of driving. 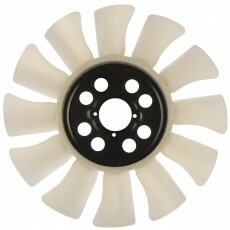 This 12" blade fan is the answer to move an insane amount of air. Spacer/adapter is sold separate. 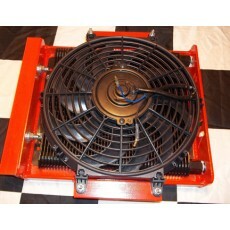 New style HD fan coolers feature a long brand fin and plate type cooler for greater durability. this is designed to be mounted to your cage bar. hoses and fittings are available.